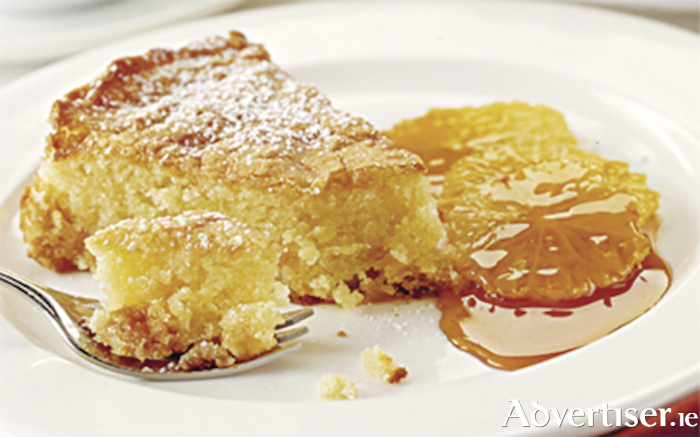 Let this tasty treat warm you up on a windy autumn evening courtesy of Bord Bia recipes. A truly indulgent delight. Line a shallow 23 centimeter cake tin with baking parchment. Place the oranges in a flat dish, heat the sugar in a heavy pan, allow the sugar to brown add the water and boil until you have a caramel sauce. Pour it over the oranges. Serve with the cake and enjoy.